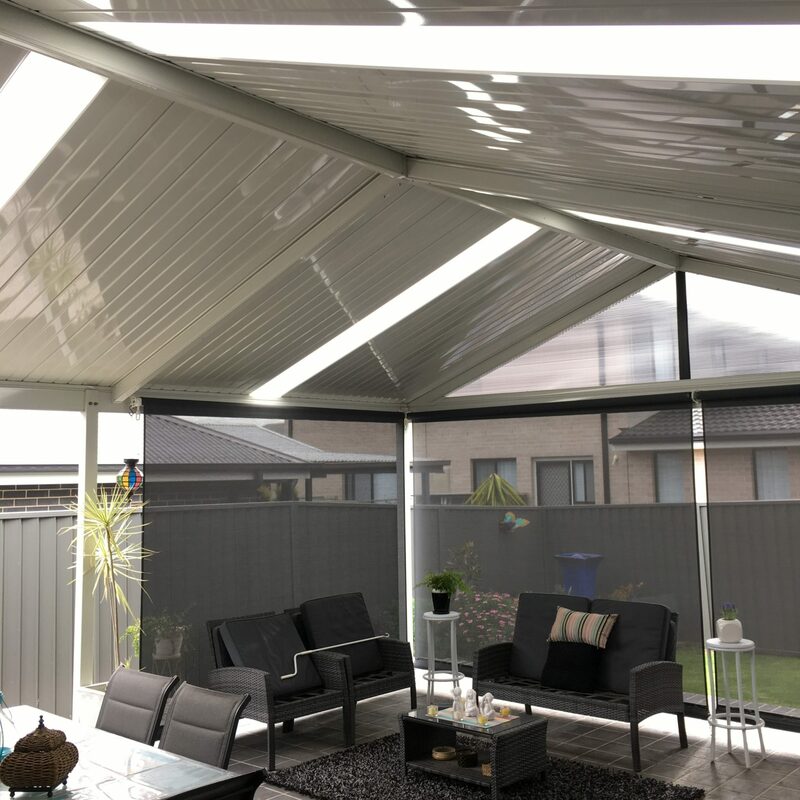 This is a gable (pitched) Colorbond patio that includes additional translucent roof sheets for additional ambient light below. 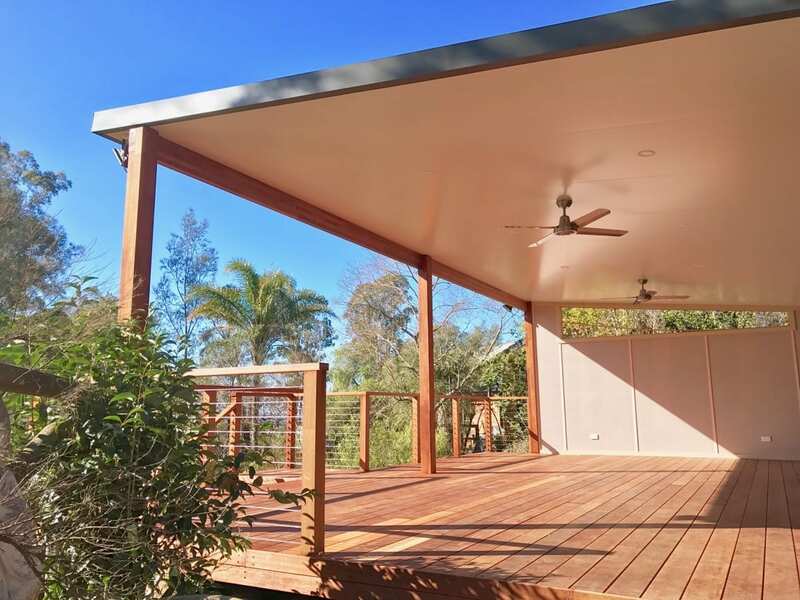 The entire pergola frame and roof sheets are made from Bluescope Colorbond steel. The gap at the end of the gable is infilled with UV protected polycarbonate core flute sheeting. 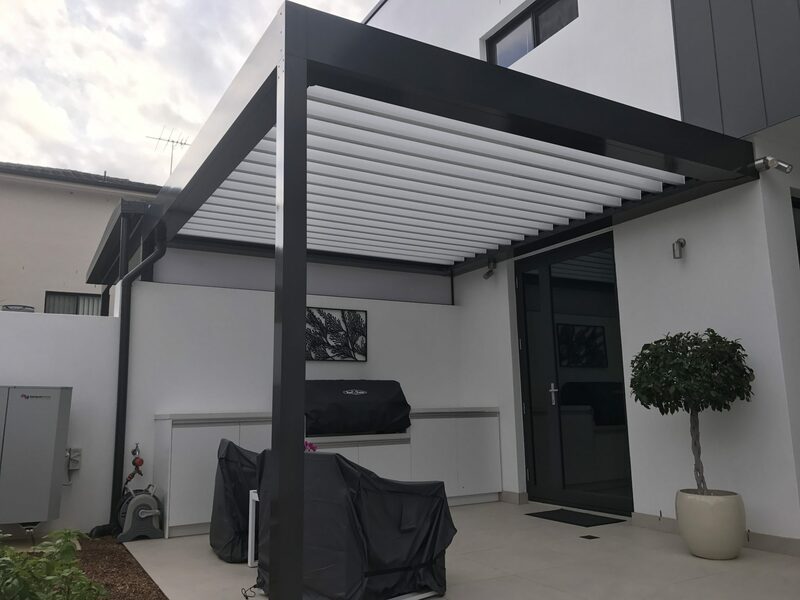 For additional privacy and sun protection, this client has opted for a basic manually-operated outdoor blind setup that compliments the outdoor furniture nicely. 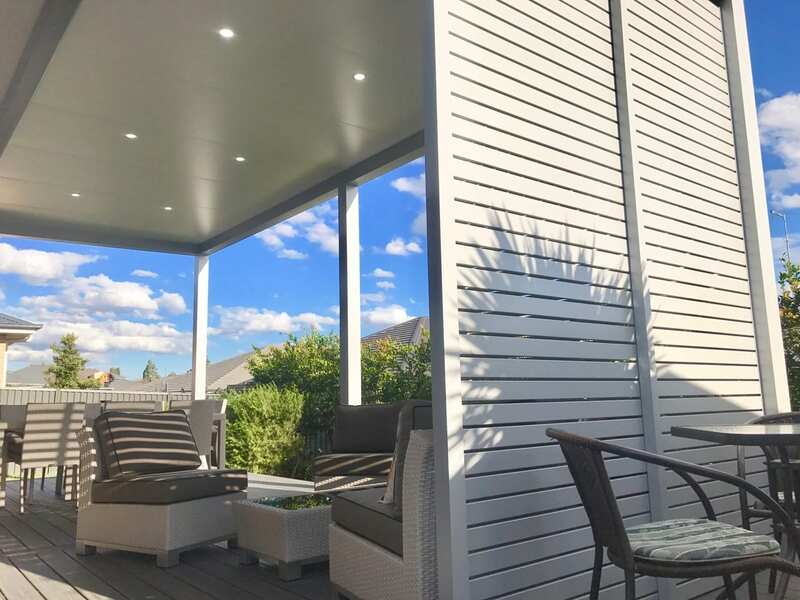 A new trend developing for insulated patios is to use bulky aluminium beams and posts as a frame. 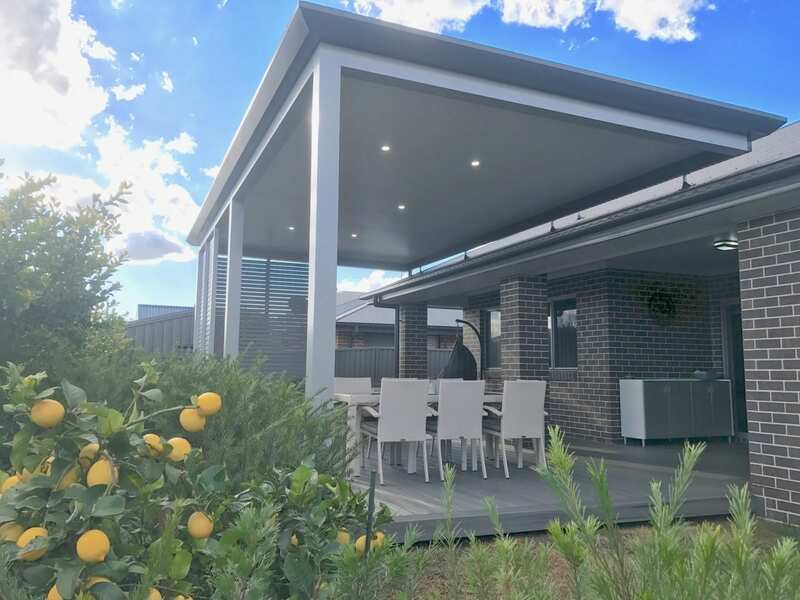 For additional privacy, we also offer aluminium slat privacy screens. 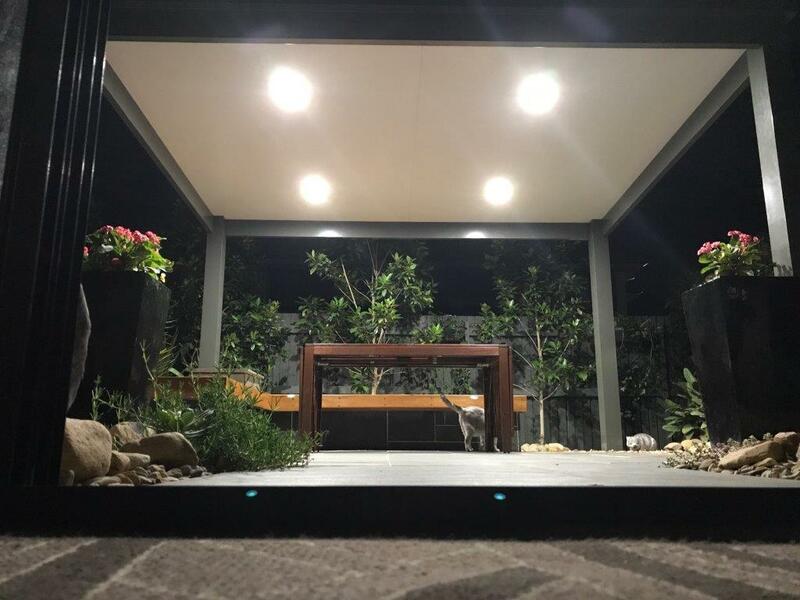 Our licenced electrician can install LED downlights into your insulated roof patio which are able to sit directly in the roof panels. Flat roof patios are a great and simple way to cover and increase the lifespan of your deck. Our flyover brackets and attachments are even suited for even the bulkiest of designs in high wind areas. 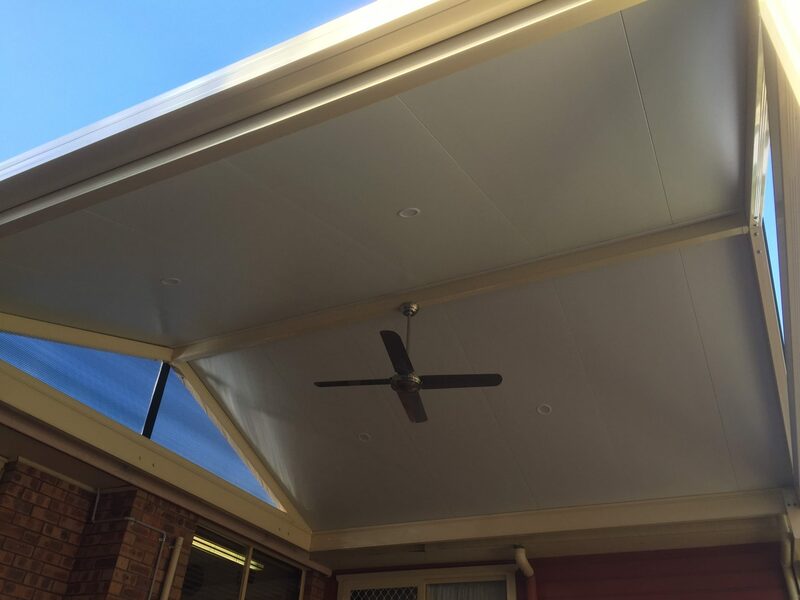 The additional height in a flyover patio allows extra light to filter through into your entertaining space.